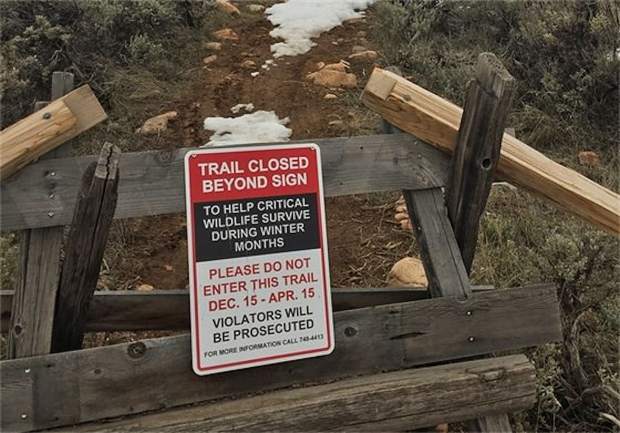 The seasonal closure for the majority of the West Avon Preserve will extend beyond April 15 due to snowpack coverage and adverse muddy conditions, Avon officials announced on Friday. After evaluating the current state of the trail system, and the current storm cycle, it was decided to keep the lower portions of the West Avon Preserve closed until further notice. Physical barriers and signage will remain at the closure points until the trails are opened. Signs will also be posted at the trailheads alerting trail users of the extended closure. Residents and guests can still enjoy the “upper” trails that remain open through the winter, including Our Backyard, Playground Way and Beaver Creek Point. For questions or more information, contact Planning Director Matt Pielsticker at 970-748-4413 or mpielsticker@avon.org.